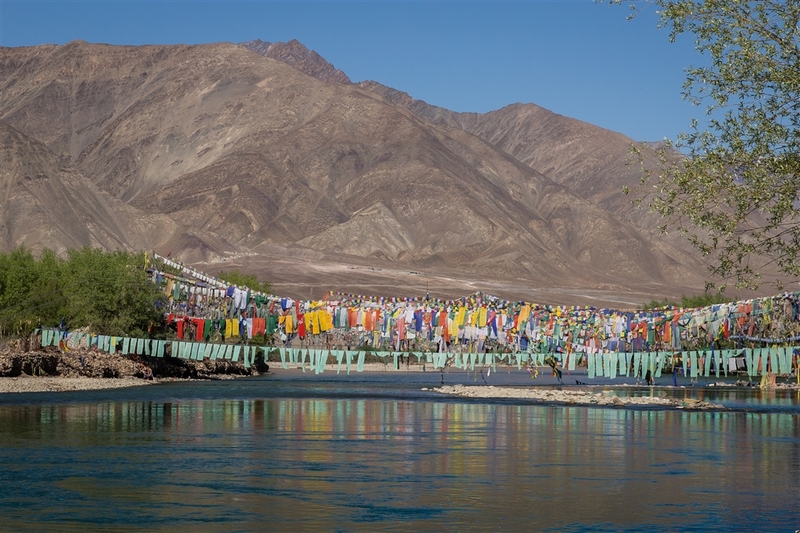 On leaving Leh we passed a bridge over the Indus river covered with prayer flags. We didn’t stop, I wish we had, so if you do this excursion be sure to look out for it and make the effort to explore. It’s on my list for sure the next time I visit Leh. 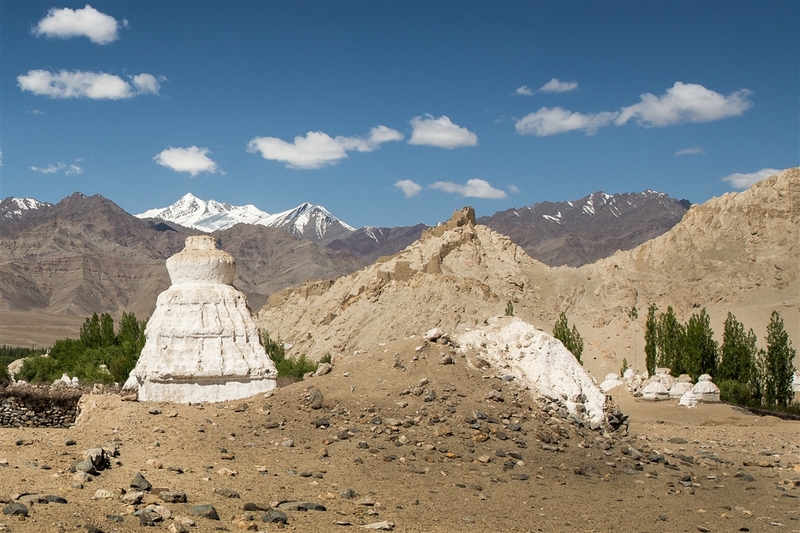 Shey is just 15km from Leh, and was the ancient capital of Ladakh as far back as the 10th century. Now partly ruined, the highlight of a visit is to see the temple which enshrines a giant seated Buddha. 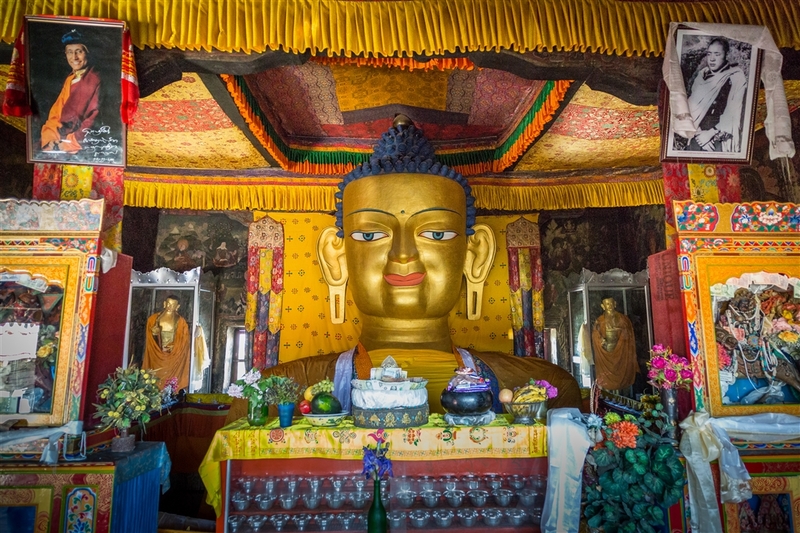 You enter the temple on the upper level with a slightly smiling Buddha in the middle greeting you and occupying most of the space. The 8m high statue was built by Nepalese artists aided by goldsmiths from the village of Chilling, the metalworking capital of Ladakh. 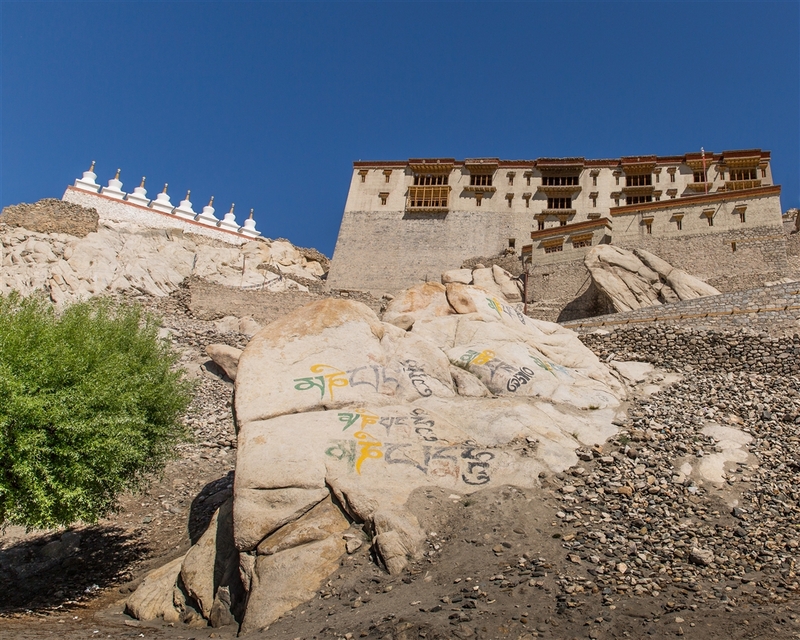 It was commissioned by King Deldan Namgyal in the late 17th century, in memory of his father. The walls of the upper floor have some interesting paintings, but they are much blackened by soot from the butter lamps. On leaving Shey heading further south, look out for a massive Chorten field on your left. It’s worth stopping for 20 minutes to explore this landscape.